"Two nights before Christmas and all through the toy shop, "...not a creatures was stirring"; none that is, except the toys that come to life. 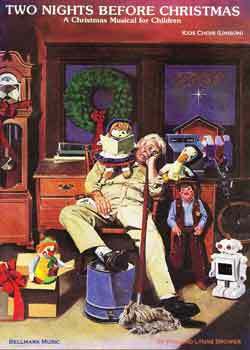 You see, the grumpy ole' cleaning man (who doesn't like Christmas much anyway), falls fast asleep and begins to dream. Little does he know that at the stroke of midnight his view of Christmas will change forever. Beware though; for not only will the enchanting characters and infectious songs of this Children's Musical captivate the heart and love of a "grumpy ole man" BUT, will charm their way into your heart, as well.